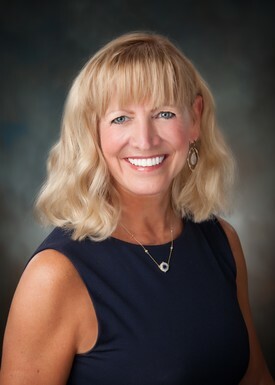 Krista M. Jones opened her practice in Edmond, OK in 1981 after graduating from the University of Oklahoma, College of Dentistry. In 1990 she moved her office to the Turtle Creek Professional Village Complex. She has built her practice by providing the highest quality dentistry available for a life changing experience for patients and staff. Dr. Jones is in the top 5% of dentists in Oklahoma for continuing education, and has attended the prestigious Spear Institute at the Scottsdale Center for Dentistry, where she is a member of the Faculty Club and is a member in the Edmond Spear Study Club. She has been awarded the Oklahoma Dentist of the Year for the Oklahoma Dental Association in 2012 and was voted "Best of the Metro" by 405 Magazine in both Cosmetic Dentistry and Comprehensive Dentistry. She was also voted "Best of the City" by Slice Magazine in 2013. Dr. Jones is dedicated to continuing education and advance technology. Each year she attends two to three times the continuing education courses required by the Oklahoma Board of Dentistry that help her provide patients with the best dental care possible. Dr. Jones received the Platinum eagle Award in 2002 from the Oklahoma Board of Dentistry for placing in the top three percent of all licensed dentists in the State of Oklahoma in the amount of continuing education courses for the previous three years. She is Western Regional Examing Board member to administer licensure exams to dental candidates all over the United States since 2010. Not only is Dr. Jones is a Faculty Club Member of the Spear Institute, but she is a graduate of the Pankey Institute which trains dentists to provide you with maximum comfort and function while at the same time accomplishing a natural, beautiful appearance and long-term results. She attended the Las VegasVegas Institute for Advanced Dental Studies for new developments in advanced aesthetics and comprehensive dentistry. Dr. Jones’ passion for dentistry has kept her very busy in local and national professional associations as an active member as well as in leadership positions within the organizations. As a resident of Edmond, OK, she is very involved in the community. She belongs to and has served in leadership roles. Dr. Jones travels on medical mission trips through the OU Health Science Center Christian Medical-Dental Society and the Oklahoma United Methodist’s Volunteers in Mission. She and husband, Craig, have been on mission trips to Kenya, Israel, Peru, Bolivia, Nicaragua, Guatemala, and Mexico. During her time as Chair of Mediation Review Sub Council for ODA, the Oklahoma Dental Association was awarded the Golden Apple Award in Ethics and Professionalism for the American Dental Association. American Association of Women Dentists “Smiles for Success” Program for abused and battered women so they regain their self-esteem and become gainfully employed. OK Dental Association OK Mission of Mercy (OKMOM) – held each February to provide free dental care for the community which is rotated between Tulsa, OKC, McAlester, Lawton and Enid. Dr. Jones is married to Reverend Craig Stinson who is the Executive Director for the Oklahoma United Methodist Conference. They enjoy chasing eclipses and have seen nine. Scuba diving and reading are other passions of Dr. Jones.